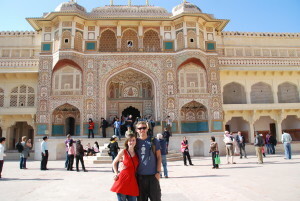 Personally, I affectionately consider Jaipur as a royal affair. It conjures visions of things which are classy, royal and beautiful. And its royalty is epitomized by its majestic structures which were once the abodes of raja-maharajas of the bygone era. Again I was in Rajasthan waiting for another ‘time-stopping’ experience. And my royal journey started with an elephant ride to the majestic Amber Fort. Elated, I was attentively listening to the guide about this classic structure which is majestically fashioned out of white marble and red-sandstone. Overlooking the beautiful Maotha Lake, the fort is ideally perched on a hill and it seems as if the exteriors of this structure are budding out of the hill itself. Raja Mansingh started the construction of the fort in 1592 and later more and more structures were added to it by the subsequent rulers. 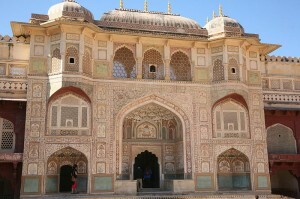 The fort clearly reflects the lavish, capricious, classy and adventurous lifestyle of the then raja-maharajas. I was completely bowled over by the incredible architectural brilliance of this stunning structure. The interiors of the fort are adorned with paintings, mirror and semi-precious stone work. 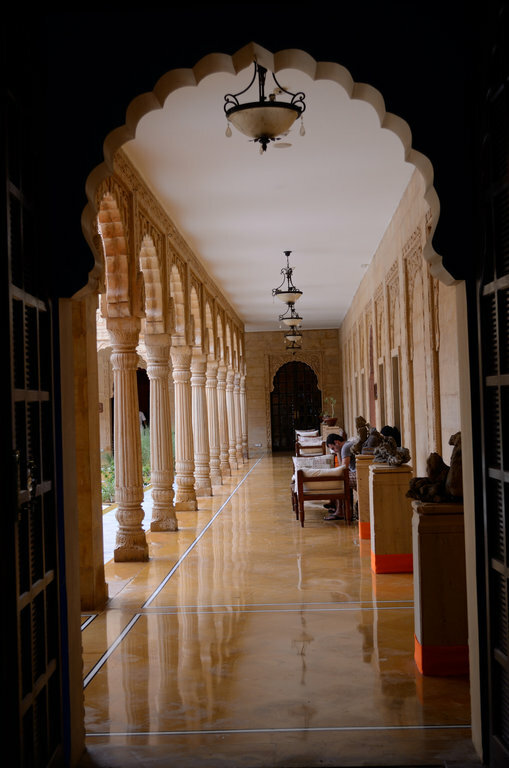 The must-see apartment is the stunning Sheesh Mahal. Its walls and ceilings are decorated with colorful mirror work. The arresting carvings are equally enchanting. The other structure I visited inside the fort were Kali Temple famous for its silver doors and silver lions; Diwan-I-aam, the Hall of Public audience with double row of columns; Ganesh Pol which is beautifully painted with vegetable colors; Zenana (women’s apartment) which was made to facilitate the royal ladies to watch the proceedings of the royal court without themselves been seen. It is decorated with mesmerizing paintings of Krishna Leela scenes; the Hall of Victory, Jai Mandir boasting of mirror studded ceiling. There is so much to see and enjoy in the fort.